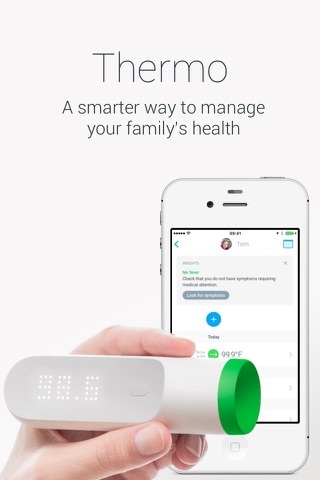 With an easy no-contact gesture, the Withings Thermo thermometer quickly gives you an accurate temperature reading, while automatically syncing with the app on your iPhone or iPad. 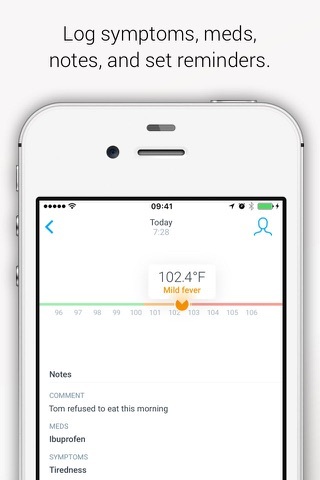 In the app, you can track temperature readings, get reminders, and enter related symptoms and medications for advice directly on your iPhone. Thermo measures from the temporal artery, considered the best place to detect temperature changes, because the blood that circulates there comes from the body’s core. Readings appear illuminated on the device along with a colour-coded LED to tell you if the temperature is normal, elevated or high based on the user’s age. Measurements sync automatically with your iPhone or iPad. 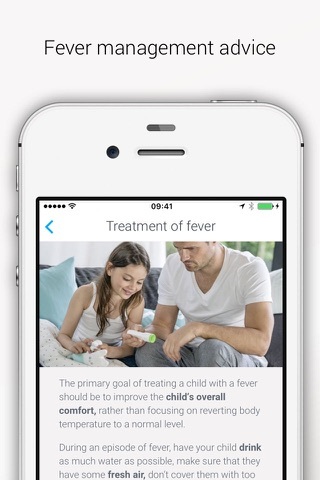 Based on age, fever history and symptoms, the Thermo app gives advanced health advice. 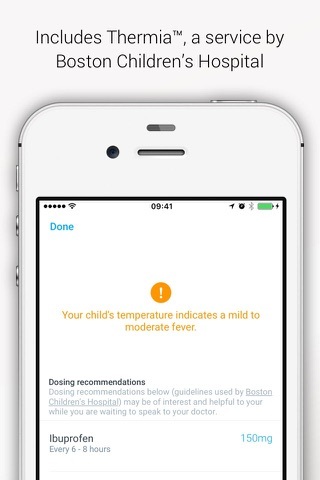 And Boston Children’s Hospital provides Thermia — educational information on proper medications and dosages. 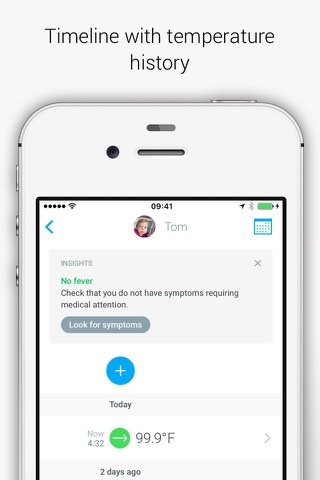 In addition to tracking temperature and symptoms, you can enter comments, medications and photos in any user profile. This helps you see if the treatment is effective and allows you to have a complete history to share with a doctor.